I planned this trip. I was lucky enough to find the most wonderful tourist guide online in pdf form. It highlighted things to see in Onomichi. It was written by a person who understood what would draw non-Buddhist, non-Shintoist tourists to temples and shrines. When you read about shrines and temples in most tourism brochures, they explain that such and such temple is famous because Monk XYZ lived there hundreds of years ago. They will talk about this or that god that is enshrined in whatever shrine. Honestly, I don’t care. It’s nice, but can it give me super powers? This Onomichi tourist guide talked about what you can do or get at the shrines and temples in town. “Rotate the huge stone and make a wish. Your dreams will come true.” “Pat the boar statue on the nose for happiness.” “Wash your hands at the temple’s turtle faucet and ask for a long life.” Now the temples and shrines are interactive. There is something for me to do. I’m not superstitious. I don’t believe in wish granting deities. But, I love a good tourist trap. I love hokey and kitschy tourist sights. I’m the type of traveler who will go to Ireland to kiss the Blarney Stone, stick a prayer in the Wailing Wall, or do whatever silly things tourists go to a place to do. Shrines are boring! Temples are boring! But if there is a wish granting stone cow at some shrine, I’ll respectfully throw some coins in the coin box, clap and bow, and rub that stone cow’s nose. Because I find that sort of thing entertaining. She’s been using my phone for hours. First we saw the statue of Fukimo Hayashi. She’s a writer who used to live in Onomichi. She wrote for a TV show that was set in this town. I had never heard of her before and will rarely think of her from now on, but it was a famous statue that was easy to get to. So Mark and I posed in a few photos with it. Next we walked down the shopping arcade looking for stone cats. There are 888 cats throughout the town of Onomichi. I think Mark and I found about 10 of them. Most of the stone cats were up in the hills where the majority of the temples and shrines were. We had breakfast at some random café instead. I had bacon and cheese pancakes and Mark had apple pancakes. It was a quaint shop that played hula music one minute and merengue the next. Next we visited our first temple of the day, Kaifukuji Temple. There were three Robin Hood type thieves living in Onomichi during the Edo period. They would steal money from rich people and give it to the poor. Eventually they were caught and beheaded. Their heads were enshrined in Kaifukuji Temple. 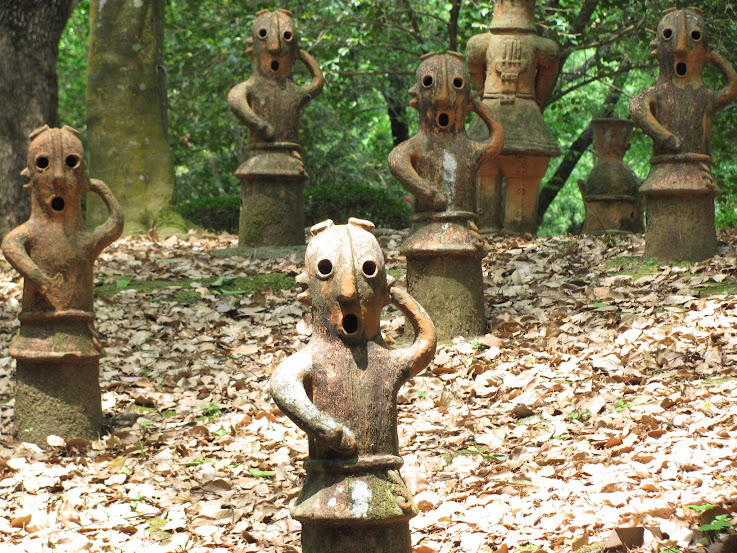 I don’t know what happened to the heads, but legend has it that above the neck illnesses can be cured at Kaifukuji. For what it’s worth, since my visit to this temple, I’ve had zero brain tumors, tooth aches, or eye infections. Of course, I’ve never had any of those things, but now I can continue being free from any of those ailments. Next we went to Kumano Shrine. There was not much information about this tiny shrine other than it is famous because a god lives there. We searched and searched for the shrine and could not find it. Well, actually we did find it, many times. We just didn’t know that we did. The picture of Kumano Shrine in the brochure is in fact not Kumano Shrine or maybe it’s from some angle we didn’t see. I held up my paper with the photo of the shrine and compared it to what I would later find out was Kumano Shrine. “That’s not it.” We had stood in a place where a god lived and didn’t notice. We walked around the small, but beautiful garden taking pictures. Then we found a caretaker. Mark handed her 200 yen. She took the money, smiled, and went to the ticket booth. She came back with our tickets and brochures just in time to wave goodbye to us as we left. Jodoji Temple was next on our tour. There we had to find the huge round rock and rotate it for our wish to be granted. Mark tried it first. He placed his coins in the coin box, clapped and bowed to wake up the god, then wrapped his arms about the big rock. He grunted as he moved the big rock once around. Then he clapped again and bowed. Then it was my turn. I tried to do the exact same thing, but the rock refused to move. I pushed and twisted the thing, but there was no movement. Then I asked Mark to move it for me, so I could get my wish. None of these guys knew where the dirt mound was. Right across the street was Kairyuji Temple. There we could improve our skills. The brochure didn’t exactly say what skills would be improved, but I think it was puppetry performance skills. I don’t ever do puppet shows, but I was game. All I had to do was touch a mound of dirt that contained the ancient books of Buddhism. Mark and I search the whole temple grounds for this mound of dirt. Mark even walked to the very top of the mountain that the temple sits on. We never found it. Our puppetry skills are still terrible because of it. I wanted to visit the Museum of the University of Onomichi City. But even though it’s only supposed to be closed on Tuesdays and Wednesdays, there was no one there. It was unlocked when I walked in. I could hear people walking around inside. I took off my shoes and went into one of the rooms. There were paintings wrapped up, on the floor, and leaning on the walls. “Maybe they’re still setting up,” I thought to myself. I quietly backed out of the room, quickly put my shoes back on, and left. No one knew that I was ever there. Look how happy Mark seems already. Mark and I walked along the street closest to the water to look for the boar statue. Patting his nose brings happiness. We had no trouble finding him and got the deed done. This is a tourist spot, for some reason. Then we went to take a photo with the Crane and Phone Booth. Onomichi is a shipping town. They have a lot of cranes in their many ports. So I guess they made this special phone booth to commemorate this. No more head pain for Mark. Then we went to Tenneiji Temple. It’s hard finding temples in Onomichi. There are just so many temples and so few signs in English. There are maps placed throughout the city, but sometimes that means 5 minutes of step climbing only to find out that the temple you want is several sets of steps below you. It’s quite a work out! At Tenneiji we found a wooden monk who would stop our pains. If you have a headache, rub his head. If your big toe on your right foot hurts, rub his big toe on his right foot. If your left big toe hurts, then you’re out of luck. His left foot is tucked under him, so essentially he doesn’t have a left foot. Mark and I rubbed this little guy all over, after tossing coins in the coin box and bowing and clapping. We didn’t have any current pain, but we were hoping that it would work on future pains. We walked to Senkoji Ropeway. I wouldn’t recommend taking the ropeway if you’re claustrophobic. Even though the timetable clearly says that the gondola leaves at quarter after, half past, quarter to, and on the hour, it really only leaves once the gondola is jam-packed with people. Don’t get any ideas about taking photos from the gondola either. Even if you’re lucky enough to be by a window, you will not have the space to take any photos other than by sticking your hand out the window. That’s risky; don’t do it! We wanted to ride the ropeway because it was there to be ridden. We had a 3 minute wait until the top of the hour when the thing was supposed to leave. That time came and went. We just stood there as more people were ushered into the gondola. Just when we thought that they couldn’t possibly put more people on, they put 2 more people on and let us go. The ride to the top took at good 3 minutes. It took longer to get out the gondola once we reached the top than the ride itself. Since Mark and I were the first people on, we were the last people off. The whole thing would have been faster if we had walked. We walked about Senkoji Park. We looked at “Romantic Place” and “Lover’s Sanctuary” before making our way down to Senkoji Temple byway of the “Literature Path”. We tried to see the cuddling rocks, which would have given Mark and me a happy marriage. But, we had come too late. I’m not sure why, but the gate at the path to the rocks gets locked at 17:00. Maybe it’s to give the rocks private cuddling time. At Senkoji Temple we pulled on the big rosary for one full rotation. Since we were a couple, Mark pulled it half the way and I pulled the rest. It turns all our desires into loud noises so that we could be happy. I think that after doing this we would no longer have any desires. But we still needed at least one more desire. At the next temple, we would get a wish granted for patting a stone cow. We walked down the mountain Senkoji was on and then up a long set of steps to get to Misode Tenmangu Shrine. There is a Japanese movie with a Freaky Friday theme. The two protagonists walk down these very same steps as they leave Misode Tenmangu. They both trip and tumble to the bottom. When they get up, they realize that they have switched bodies. We climb to the top of yet another never-ending set of steps. Once again we dropped some coins, clapped, and bowed before patting the cow for a wish. I should have wished for an elevator, but I didn’t think of it then. We found a Chinese restaurant. It was the only thing in the arcade that was open. We went in and ordered the Onomichi ramen set. It was really good. I highly recommend it. Would I have noticed that this ramen was different from other ramen around Japan? No. The fishy taste was too subtle. One thing I recommend to get before visiting Onomichi; a small sketch book. Each temple and shine had its own stamp. You can collect them if you have a book in which to stamp. A sketch book is great because it has thick pages so the ink won’t bleed through. Look out for the many stone cats in the city. There are 888 in total. There is a 1,000 yen deposit for all bikes. Don’t rent a bike if you’re spending the day in Onomichi. The bikes are best used to visit the other islands. The is where you can be cured of any illness and affects anything above the head. The only website I could find. This place is really hard to find. So hard, in fact, that Mark and I didn’t realize we found it. This is a small garden. Rotated the round stone and your wish will come true. Touch the mound of dirt that contains the ancient books of Buddhism and you performance skills will improve. Good luck finding that mound of dirt! Rubbing part of the body of the Binzuru statue will stop pain in the corresponding part of your body. Tenneiji Temple is famous for its three-storied pagoda, Kaiunto. Take the path next to the temple and go up the stairs. The turtle faucet is always available. Wish for a long life here at the turtle shape faucet. 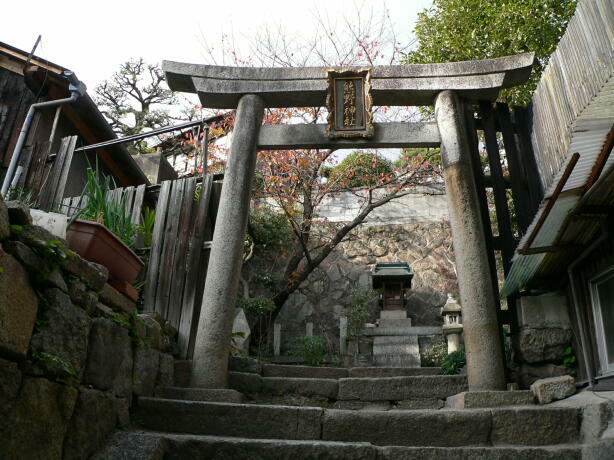 Ushitora Shrine is the oldest shrine in Onomichi-shi. Don’t wait in a long line for this. You will only be able to take photos from the gondola if you manage to get yourself near a window. They tend to pack lots of people inside. Around 17:00 part of the park closes. You can take the Senkoji Ropeway to the top or walk. Look for Senkoji Kannon Do Hall. If you rotate the big rosary there, your worldly desire will be transformed into a loud noise and then you can be happy. Look for MeotoIwa, the cuddling rocks, for a happy marriage. Pat the stone cow and your dreams will come true. After my appointment, we drove to Costco for free parking. Parking at Costco is free as long as there are no baseball games at the nearby Mazda Zoom Zoom Stadium. (That is its real name in English.) When there is a game, Costco customers get 3 hours of free parking after scanning their receipt when paying for their parking. Baseball fans have to buy a parking pass to park at Costco or pay the ridiculous cost of $20 per 15-minutes of parking. There was no baseball game that day, so we parked our car at Costco. Even though you’re not supposed to do that, Mark and I buy a lot of stuff from Costco. We buy all our electronics there, most of our fruit and meat, and almost all our cleaning products. They also have plenty of extra parking on non-baseball game days. So, I don’t feel too bad using Costco for free parking. Right outside the Costco there are several red electric bikes. They are parked next to a sign advertising them for rent. “Why don’t we take one of these bikes?” Mark suggested. We looked at the instructions that were on the sign. To rent a bike, we needed a transportation card that we did not have. “Let’s go to Hiroshima Station and ask someone at an information desk there about this,” I said. We walked 20 minutes to Hiroshima Station and was directed to a Peacycle office nearby. We filled out some papers and paid 1,000 yen each. We both got a fully charged red electric bike and a map of the city. Mark was in a cultured mood that day, so he took off for the Hiroshima Museum of Contemporary Art. But first we stopped at a 7-Eleven to get a couple bottles of water for our day of biking. We parked next to some other bicycles, turned our bikes off, and locked the back wheels. We were told specifically to be careful where we parked the Peaceles. “Be careful of ‘No Bike Parking’ signs,” the Peacecle lady told us. “If other bikes are parked there, then maybe it’s okay. But try to find Peacele Parking.” Since there were three other bikes parked at the 7-Eleven and it was a quick stop, I wasn’t worried. With our cold water bottles in our baskets, we headed up the steep hill to the art museum. It was very difficult. I got off my bike and pushed it up the hill. “So much for this electricity assisted bike!” Mark, on the other hand zipped up the hill and I could barely see him anymore. Halfway up the hill, I looked at the handle of my bike to see how much power the battery had left. It was at 100 the last time I checked. The red-lit numbers weren’t there. “Wait a minute, this thing is not even turned on,” I exclaimed with relief. I turn the power one and set it to max. I got back on the bike and peddled. There was a strong tug up the hill. “That’s why Mark was going so fast. He remembered to turn his bike back on after the 7-Eleven.” The ride up the hill was a lot easier. I still had to put some effort into paddling. But, it felt more like biking up a much less steep hill. Outside the Hiroshima Museum of Contemporary Art we found the Peacecle parking our map promised us. I was afraid that I would not be able to distinguish my bike from the other red Peacecles, so I left my water bottle in the basket. In the museum we bought tickets and tried to appreciate some art. Honestly, I think most of the art there was boring. There were a few things I liked; like a painting done with only thumb prints and one display of post cards. But, I personally, don’t have a deep love for art. I like living near art museums. I like that there are people around me who love art. But for me personally, I just don’t get art in general and I find most of it to be boring. On my first day back to work at one of my many, many schools, a coworker asked me about my summer vacation. I told her about my camping trips and asked about her holidays. She beamed with excitement, so much so that she forgot all her English. She mumbled something about a tower as she ran back to her desk. I sat at my desk wondering what was going on while she searched her bag. Then she pulled out a brochure and handed it to me. It said, “Hiroshima Orizuru Tower”. It was a new building near the A-bomb dome. Though, it calls itself a tower, it is only 13 floors tall. But, it offers a 360 degree view of Peace Park and downtown Hiroshima. In the “tower” there is a floor where you can use a touchless computer to make an origami crane. By waving your hands in the air in front of the screen, you can fold an origami paper somehow. There is also a gift shop on the first floor. 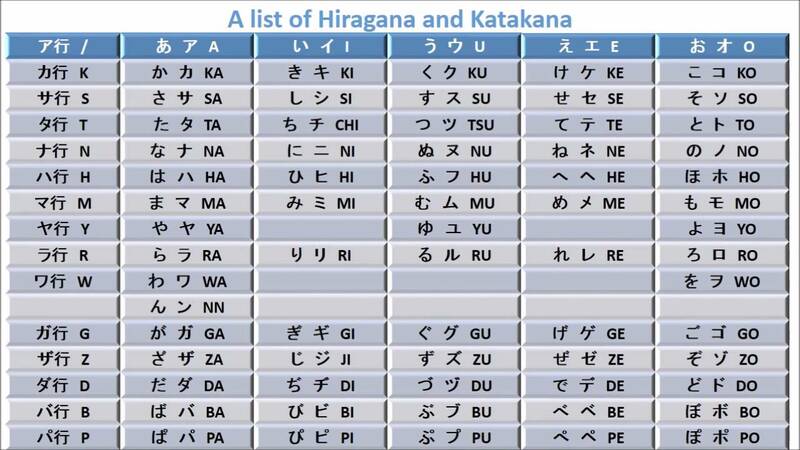 I found a website that boasts that any Hiroshima related souvenir can be found there. The Hiroshima Orizuru Tower had opened in July, but its grand opening wouldn’t be until September 23rd. I wanted to see this new building before its grand opening, but there was a huge problem. The admittance fee was 1,700 yen. That’s roughly $17 US. In Japan I find that often vendors have an overly inflated view of the value of their product. This was such an example. Mark and I didn’t want to pay $17 to go to the top of an eight-story building to look at the same downtown Hiroshima that we’ve seen hundreds of times before. The gift shop sounded interesting, though. We bike to the new building and was greeted by many “No Bicycle Parking” signs. We circled the building and found an underground bike parking lot, but it cost a flat rate of 500 yen per day. It cost 1,000 yen to rent a bike; we didn’t want a 50% parking fee. “What did the Peacele lady say about free parking?” I asked Mark. Mark pulled out the Peacecle map. “She said that there were many Peacecle spots where we could park for free,” Mark muttered as he tried to figure out our current location on the map. Sure enough, there was a Peacecle spot across the street from the overpriced “tower”. We parked our bikes and as newly formed pedestrians, we crossed the road back to the Hiroshima Orizuru Tower byway of the underground shopping mall. We walked through the restaurant area of the underground mall then up to the sidewalk in front of the new building. The Hiroshima Orizuru Tower did look shiny and brand new. At the entrance stood four uniformed women handing out flyers for the “tower”. They were dressed like flight attendants. Mark and I each got a flyer and we walked in. “I have to admit, that’s some good statistics!” I said. “But, maybe a ticket for this ‘tower’ wouldn’t cost so much if they didn’t hire so many people to do such pointless jobs.” I looked around, not only where there about 10 attendants there, but there was also about 8 clerks too. There were all standing around waiting for someone to sell a ticket to. While we were there maybe 2 or 3 people bought tickets. There were other attendants waiting by the elevator and some by the roped off area. There were more attendants than tourists by far. We walked into the gift shop wondering what Hiroshimic surprises awaited us. I picked up the first thing that caught my eye. It was a very small, very cute jar of strawberry jam. “This is adorable!” “It has a not-so-adorable price tag,” Mark griped. I looked at the price label; 1,200 yen. “Twelve bucks for what is essentially 4 servings of jam! ?” I gasped. I carefully returned the tiny jar to its spot on the shelf. I looked around the store. It was part gift shop part overpriced grocery store. You could buy things like silver pens that don’t say Hiroshima to highly overpriced jars of miso soup paste that also don’t say Hiroshima on them. There were expensive boxes of omiyage and Carp paraphernalia that did say Hiroshima, but most of the stuff in the shop could be bought at a grocery store for a lot less. We went back down to the underground mall to look for a restaurant. We chose one that seemed very Japanese. I know, we’re in the middle of Japan. Even the Italian restaurants seem very Japanese. Once filled up with tempura, sashimi, miso soup, and other Japanese side dishes, we got back on our bikes and headed to Hiroshima Castle. Just about every city and town in Japan has a castle. They all pretty much look alike. When you live in Hiroshima prefecture, everyone asks you the same two questions, “Have you been to a Carp game?” and “Have you see Hiroshima Castle?” When I say, “No,” to both, I get gasps. If they were southern bells they would swoon right in front of me. It’s just un-Hiroshimic to have, not only, never been to a Carp game, but also to have never visited Hiroshima Castle. I might as well say, “I don’t drink water and I think sleep is completely overrated.” That would make more sense to a Hiroshiman than someone who just did not like the Carp and didn’t care that much about Hiroshima Castle. I don’t know if it’s because I’ve been drinking Hiroshima water for years, but honestly, Hiroshima Castle was the best castle I’ve ever seen in Japan. There are lots to do and see there. You have Hiroshima Castle itself, whose tickets are appropriately priced. There are the castle grounds; they’re huge. Then there is a shrine. In front of the shrine is a little souvenir shop that sells specialty ice cream. I wanted to try the raw chocolate flavor and Mark wanted the sake soft serve. There was a long line for the ice cream, so Mark and I went to see what was going on at the shrine first. There were two cars parked on what looked like freshly raked pebbles. Whenever I see cars where I really don’t expect a car to be I like to exclaim, “I could have just parked here!” But these cars were not illegally parked. I saw a Buddhist priest waving something on and around the cars. The cars were immaculately cleaned. They were either brand new or had been detailed. Their owners had brought them to the temple to be blessed. After witnessing the cars being blessed, Mark and I saw that the ice cream line was gone. We bought our ice cream and sat on a bench on the grounds. We enjoyed our ice cream cones in front of what was the military headquarters a litter over half a century ago. That building, which is only a few rocks here and there now, is partly what made the American’s want to drop an atomic bomb on it during WWII. Then we went to the castle. Pictures are not allowed inside. The only exception are the costume area and the lookout at the very top. At the lookout area we could see the Hiroshima Orizuru Tower. It didn’t look all that impressive. Our tour of Hiroshima was over. We cycled back to Costco and returned the bikes. Then we went inside Costco and bought a barrel of body wash, a crate of mangoes, and half a year’s supply of toilet paper. There are many bike stations throughout Hiroshima City. Once you’ve rented a Peacecle, don’t pay to park it. In Hiroshima city parking, even for bikes, is usually not free. But there are many Peacecle spots throughout the city. When you pick up your bike, take a Peacecle map with you so you know where you can park the Peacecle for free. All bike must be returned by midnight. You might have to register at 1-day pass counter the first time you rent a bike. These bikes are electric bikes. Hiroshima MOCA is right next to the Hiroshima City Manga Library. Free entry except to Castle Tower.